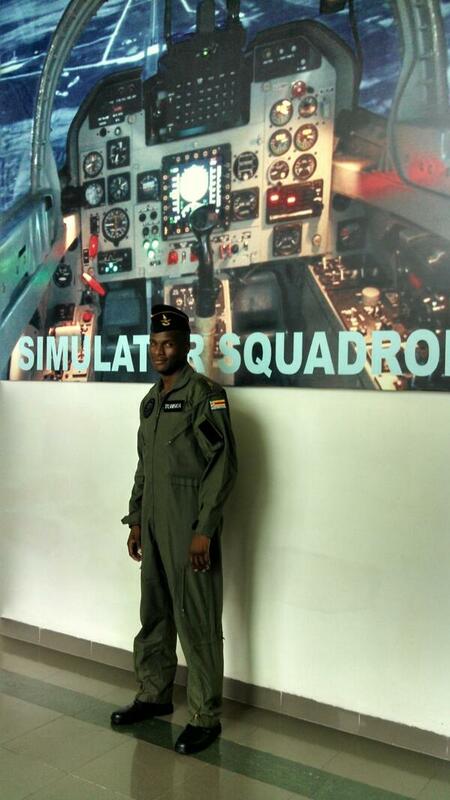 An Airforce of Zimbabwe pilot who allegedly killed his lawyer girlfriend last Sunday, has been released from custody after a magistrate ruled he was over detained. Gweru magistrate Mr Thomas Gurajena ordered the release of Tashinga Musonza (29) of Josiah Tungamirai Airbase in Gweru who is accused of killing Lucy Duve (32) because police had detained him for more than 48 hours. Mr Gurajena said the State will proceed by way of summons because police had detained Musonza for 53 hours which is a violation of the Constitution. “The accused was detained in the police holding cells for 53 hours that is from 26 November around 4AM and was only released on 28 November at around 9AM. That is clearly a violation of the Constitution as stated in section 50, subsection 2. Subsection 3 of that same section states that when a person has been detained for more than 48 hours, he/she must be released with immediate effect,” he said. Mr Gurajena said police did not apply for a warrant to further detain the accused, which is a standard procedure. “It is not in dispute that the police did not seek a warrant to further detain the accused. The police holding cells and the courts are in close proximity but in their wisdom or lack of it, the police did not apply to further detain the accused. “The police action is unconstitutional and illegal and this court cannot condone illegality. I therefore order the immediate release of Tashinga Musonza. The matter will proceed by way of summons,” he said. It is the State’s case that last Sunday, Musonza went to their lodgings around 10PM and found Ms Duve asleep. He allegedly started accusing her of cheating on him with his colleague. The two drove to the airbase since Musonza wanted the matter clarified. Upon arrival at the airbase, they allegedly woke up Ms Duve’s alleged lover who denied being in a relationship with her. Musonza allegedly got furious and started assaulting Ms Duve. His colleague tried to restrain him but was overpowered before he ran away from the scene to seek assistance from fellow colleagues. Upon their return they found Ms Duve lying unconscious in a pool of blood. Musonza later drove Ms Duve to Clay Bank Hospital in the company of two of his colleagues and another female who is said to be Ms Duve’s friend. She was pronounced dead upon arrival at the hospital leading to the arrest of Musonza. Mr Andrew Marimo represented the state.